Are you looking forward to Create a Blog ? A blog today is a major source of income to millions of people on the internet. This is why creating a blog is something everyone must know about. The answer to the popular ''How to Create a Blog or website '' today has been made easy and possible thanks to various web hosting companies that offer cheap and reliable web hosting. A blog has been a blessing in my life. It is through blogging that i have been able to learn what the Internet is all about. I have equally meet some great people thanks to blogging. I have developed skills in fields which universities in my country could not offer. In fact , today i am a digital marketer setting up an agency in my country, again because i started blogging. To give back to those who are looking forward to start up someting online and make money, i always write on how to's that can really help you get started. While on my way up the ladder of success, i enjoying sharing my experience and know hows with the youths so that tomorrow we can all say '' We made it'' . I have been using websites to make money and looking forward to create money making machines around the world. Today, I am going to share with you how to create a self hosted blog on Hostgator. HostGator provide its customers with all these requirements and other advantages making it easy to get started with. I have used Hostgator services for four years now and my experience had been a great one. This is why i will always recommend it . we will see some of the advantages soon. Let us create a blog that you will have full control over it. Stay focused and follow this guide on how to start you blog. Don't be in a rush, get a cup of coffee by your side because we got serious business to do here. This is the first step to making money online. We are aware of several other methods to do this. However Our Focus is on Hostgator to make things easy , secures and sure. Make sure you follow the steps closely . The first step to making you own blog is to create your hosting account. (iii) Word Press Hosting (with a 2.5 times loading speed). As a starter, i will recommend you select option (i) or (ii), depending on your budget. Then Choose the ''Baby Plan'' Package Type. 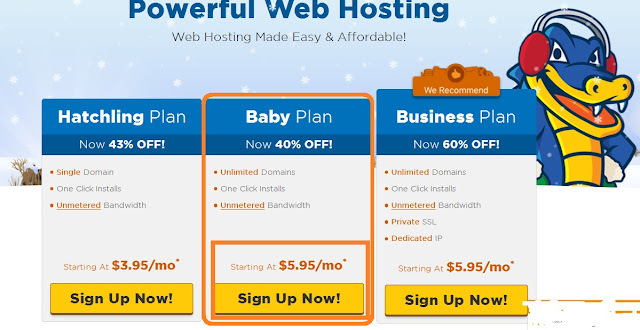 The baby plan is the best because you can host unlimited domains and sub domains ( For example my websites www.askcamer.com and news.askcamer.com and www.healthplero.com are all in a single hostgator hosting account. If you choose the ‘’Hatching Plan’’ You will be limited to one domain Only. Making it difficult for you to expand your business. On the new page that opens you will need to caryout three main actions. (a) Enter your Domain name e.g bestblog .com. * You domain name should not be too long. *It should not contain hyphens. 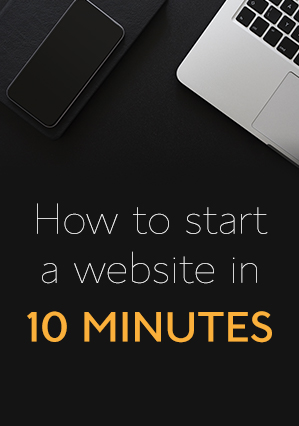 This is your first blog, making it simple will be ok. There are however some cases where you can use this. But it is not recommended when you are starting a blog. *Select a unique domain name that can be easily remembered by your website visitors. * avoid copy rights infringement. e.g googlecamer.com ,microsofgermany.com among others. Be natural. (b) Choose your hosting plan and select the Billing cycle as 36 Months. This is because the first purchase always come with excellent discount . You can see upto 63 percent discount on the screen shot. (c) Enter your billing information ( You can pay with credit card or PayPal on hostgator). In the 4th section, you can add or remove additional services by selecting or Unchecking the offer. Most Coupons are automatically applied. So no need to border about that section. Congratulation my friend. You Hosting account is set. You will need to login in into your email address to confirm your account. The confirmation email is equally very important as it contains some important information about your account. You are advised to keep that email. Here is a screen shot to show what the email contains. You are the owner of a money making website. Take a minute and chill or just shout '' i made it'' . You can now proceed to setting up your first blog. Lets take a Break, Take some time and send me Coffee. Hahaha ! I can see you still got energy. I need a cup of coffee though. Can we continue? Just as a reminder, we are Creating a blog, Thanks to Hostgator Hosting. One of the things that makes HostGator my recommended webhosting company is the fact that they offer services tha permits you to start a blog with or without coding knowledge. However, it is always recommended to permit a pro spend two- three days on your blog to ensure you are doing the right thing. I am always available if need be. Word press is a content management system that power 27 % of the websites on the Internet including one of the biggest news websites cnn.com. This is because of it simplicity. It is easy to use and can be used by pro and newbies. 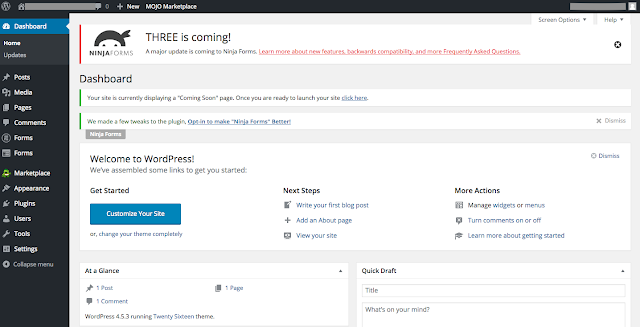 You will be able to create post, publish articles and sell products on your website after installing word press. This is the reason hostgator has integrated the One Click install tool in every hosting account for free. Big names like Enstine Muki (enstinemuki.com) , Brian Clark (copyblogger.com), Harsh Agrawal (shoutmeloud.com),Darren Rose (problogger.net) among others are using word press websites hosted on Hostgator. Get your self on the list by creating a Hostgator account and lets make it happen. Do you thing my friend, Let us keep going. I have always done it by myself, i believe you too can. Its easy though !! The main things involve is changing name servers with your Hostgator Name servers. 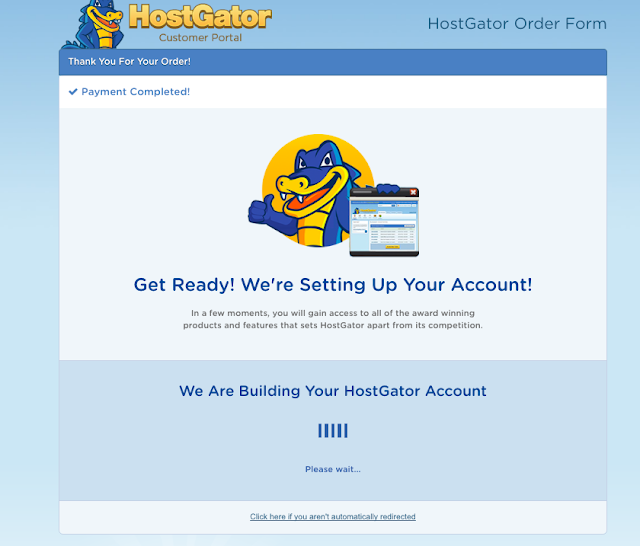 #1 Visit Hostgator Customer Portal and Login in with your email and password. 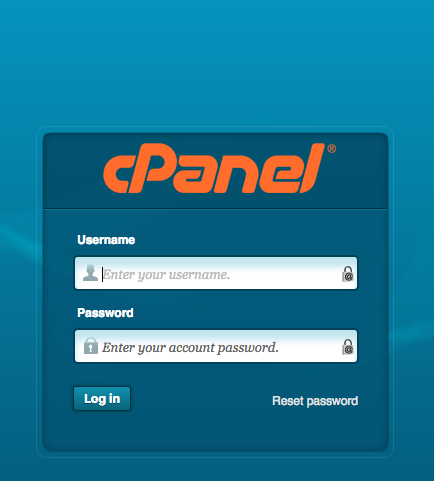 Then proceed to Cpanel with your email and password. You can equally follow the instructions in the email sent to your email to login into your hosting account.password. #2 You should be on a page that looks like this. #3 Click on Install Word press . To complete the installation you will need to select your domain name , enter your email, admin user name, name and others. Once done, you can now click on ''Install word press'' and Tada! you are done. Once installation is done. You will see a confirmation message on your screen . Click on View Credentials to get user name and default password. You will equally receive a confirmation message in your email account. 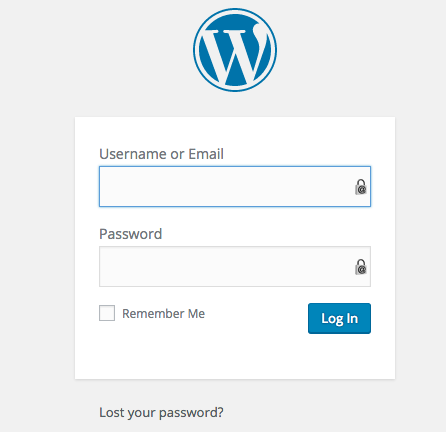 This should contain your user name and password for word press. If your domain name is for example ransbiz.com, type ransbiz.com/wp-admin. Then type in your email and password to have access to word press CMS. This should look like the screen shot below. As you can see, you are now ready to publish your first blog, publish your first page among others. That was easy right ? Your website is up and running. PS: Can you leave a thank you on the comment section? - Setting up your word press blog to look the way you want. I will like to read your first blog post . We understand how busy some people are . As such we offer blog desiging services at affordable rates. If you want to get a blog done for you. Inbox us with the type of blog you want. We will revert to you with quotations. With our service, we set your blog, install premium plugins, optimize it among other things to equip you for blogging. A blog is one the money making machine on the internet and as such, you need to get your blog well designed and Optimized for search engines. After starting a Blog, the next thing is to Monetise it. How do you plan to monetize you new blog? You can let us know if you need some techniques . You can equally share some great techniques you are using to monetise your blog. Happy Blogging. that's the reason why I always prefer Hostgator as web hosting. The company provides so many amazing features and services at affordable price value. Its C-panel is also simple and easy to handle. Hope i can easily manage self hosted blog after reading your post. Thanks fo your comment Sam. 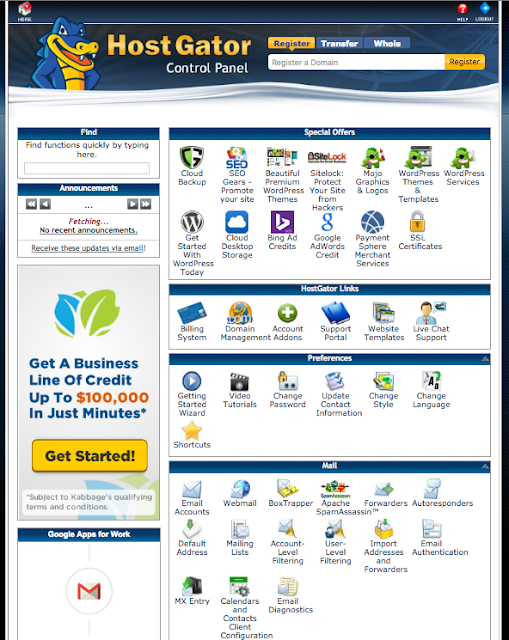 Hostgator indeed is a company you can trust fo all webhosting services. You can equally start up your webhosting account with HostGator using the HostGator reseller plan. HG offerS up to 75 percent dicount fo those interested in purchasing a reseller account. Thanks Angu Sir, I was unacquainted about to that offer but now i will must try that. Thank you Andrea for dstopping by. Hope to see you around more often.I found so many interesting books on your website. Can i have a hard copy in Cameroon? Wow. thanks alot for the information. i will like to have a tete a tete with you soon. Hi, You can get in touch with me on skype via ransbizangu. Thank.I think I would like to have a face to face meetup with you..I wanna learn from you, because you inspire me in somany ways..
Wow! Amazing How To Guide. Helped me a lot dude! Starting a web blog on HostGator is an easy way to get started but what makes Bloggers unhappy is the HostGator Pricing Tags. Nice breakdown here, Angu. This can be a confusing process.